9:00 am – 12:00 noon. Fun in the pool, games, activities and crafts for kids between 6 and 10 years old. Booking is essential and payment is due on booking. 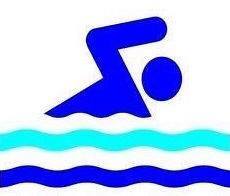 Friday night family swim 18:00 to 19:30 pay for one adult swim at £4.35 and get a junior swim for free!! We will be going outside tomorrow after we have been in the pool, therefore please pack some sun cream in your child's bags for them to put on after swimming. As you may be aware, every time you purchase goods from the Co-op and use your membership card, a percentage of what you spend is donated to charity. Laidlaw Memorial Pool is currently one of the charities benefiting from this scheme so why not nominate us as your chosen charity. Go to www.coop.co.uk/membership, create or log in to your membership account and choose Jedburgh’s Pool & Fitness Centre as your cause. We open at 08.15 am on Saturday mornings. We are continuing this great offer. Swim or Gym only £1.00 !!! If you have not used our gym before you will require an induction, which is offered free and can be booked for any day Monday to Friday.